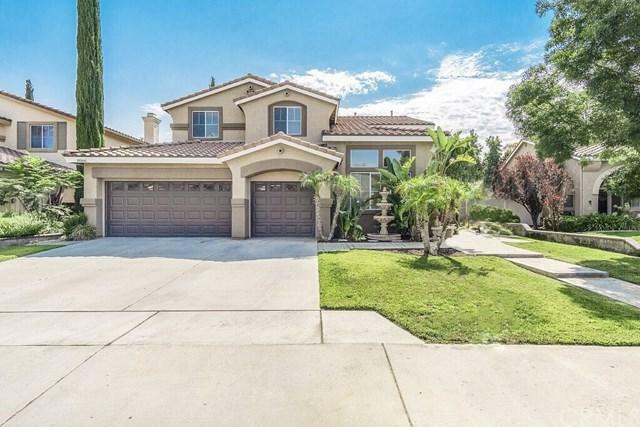 This elegant home with a charm that is warm and welcoming is located in the very desirable community of Orangecrest. With 3270 sq. ft of living space, this spacious pool home features 5 bedrooms, 3 bathrooms, 3 car garage and is filled with light and comfort throughout. This super floor plan has a versatile living room, plantation shutters throughout the downstairs, elegant dining room, and a large family room off the kitchen with a fireplace. The welcoming open and spacious kitchen has newly refinished espresso wood cabinets with ample cabinet space and a center island. The light and bright interiors are highlighted by soaring ceilings and the downstairs bedroom and bathroom can be used as a mother in laws quarters, guest quarters, or an office. Venture upstairs to find the master bedroom, 3 additional bedrooms with ceiling fans in all the bedrooms and a huge bonus room which could be used as theatre room, game room, kids play room or 6th bedroom. Awaken each morning to beautiful views from your balcony in the master bedroom and step into your ensuite bathroom with a large tub and huge walk in closet to start your day. 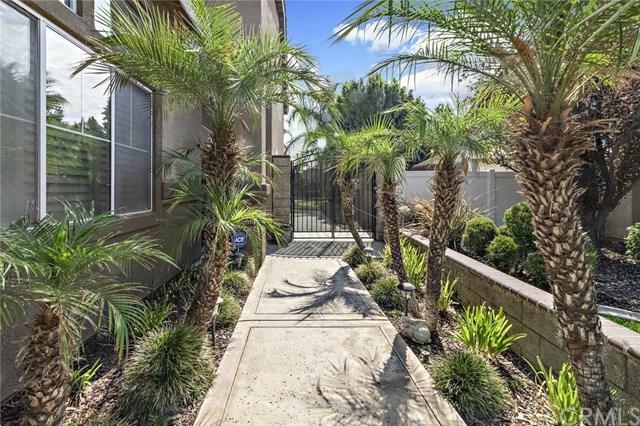 An entertainers dream, the oversized backyard with a block wall on all sides features a tastefully appointed custom fenced in pool and spa with plenty of space and privacy for outdoor eating and relaxing in the California sunshine. There are no neighbors behind the house. The exterior was painted with a fog coat a few years ago. No HOA dues! 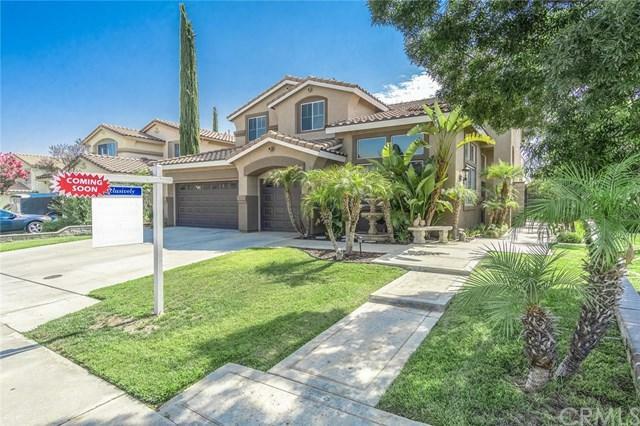 Sold by Tammi Tosti of Coldwell Banker Res. Brokerage. 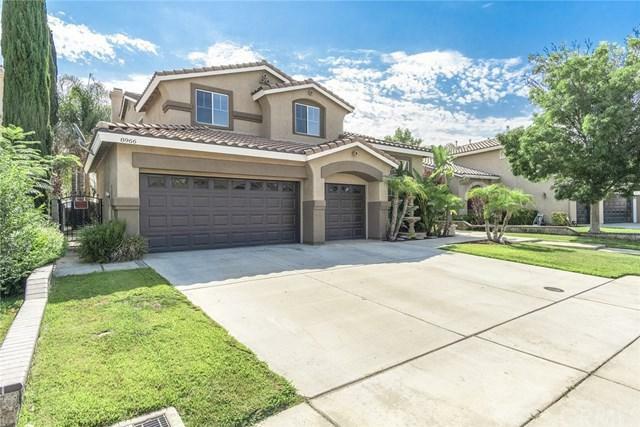 Listing provided courtesy of Karla Valdez of Windermere R.E. Tower Prop.